No matter how wonderful the beaches are, most people like a little variety during their holidays in Cornwall and look for places to visit. The following places might just interest you if your holiday cottage is in west Cornwall although Cornwall is not that large to limit holidaymakers unduly. It is possible to drive from north to south in a couple of hours. There are various lovely towns and beaches all the way down the coast. St Ives is famous for its beaches and interesting holiday activities and cottage holidays in St Ives are highly recommended. Drive a little further south towards Sennan Bay and rent holiday cottages near Sennan Bay to have a magnificent white beach playground. The countryside along the way is peppered by former tin mine workings and historical ruins which are interesting enough to stop and stare. 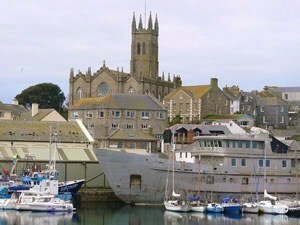 Originally a fishing community Penzance is now a perfect place to make as your base for a holiday in the west country. There are direct trains from London Paddington to Penzance with Penzance being the last station on the line. The Isles of Scilly are just 2 hours 40 minutes away by ferry from Penzance Harbour or by helicopter a mere 20 minutes away. A great time to go to Penzance is in the latter part of June when the midsummer Gowan festival takes place - a celebration of dancing and music. The oldest part of Penzance is the quay area. 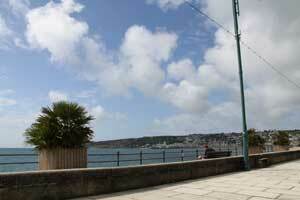 Just along from the quay you will find a very attractive promenade where the sea fed Jubilee Bathing Pool is situated. In the churchyard of St Mary's Church you will see an ancient cross that marks the place where Penzance originated. St Mary's Church itself was built in 1830 in Victorian Gothic style architecture on the site of a medieval chapel. It's magnificent high altar is worthy of a look. Here you will find a number of interesting buildings such as the Egyptian House built around 1836 when all things Egyptian were very popular. Most people will enjoy a browse through the vintage clothing in Kitt's Corner. Although a small shop it is jam packed with clothing and accessories enough to please lovers of vintage ware. Also worth browsing in is the Chapel Street Flea Market just along from the Egyptian House.